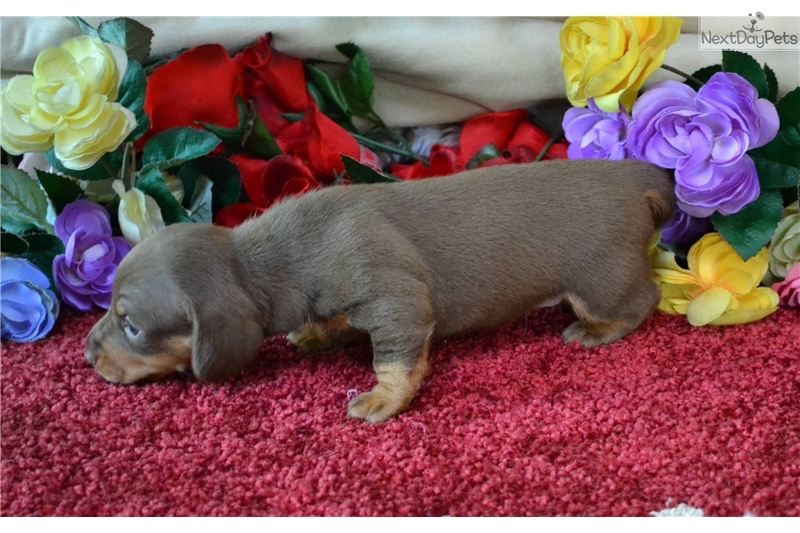 This Dachshund, Mini nicknamed Chocolate/Tan sold and went to a new family. 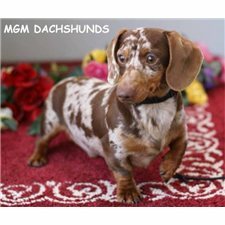 Here at MGM we raise AKC registered Miniature Dachshunds in various color/patterns. Our puppies are vet checked and free of genetic defects. Health guaranteed!! All our pups will have their shots and will be wormed in accordance to their age. 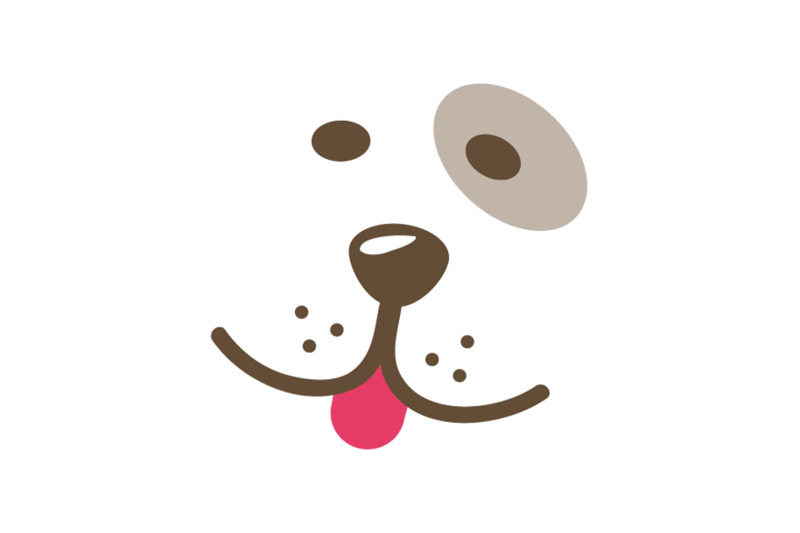 You will receive AKC papers, puppy kit and a pedigree of your new family member. Please email or call with any questions, and view our website for pedigrees & pictures. All we raise are dachshunds, so we do it well. 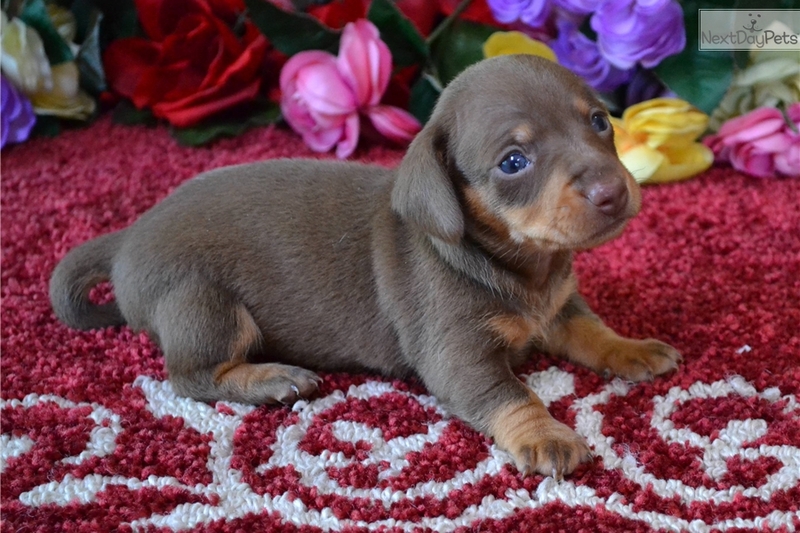 Up for adoption one Gorgeous Chocolate/tan Smooth Coat female, shipping is available.